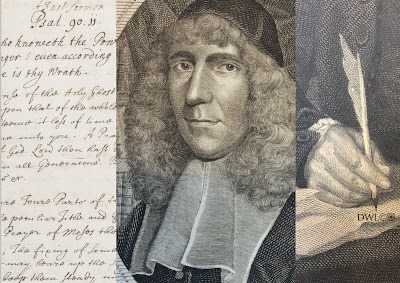 Most readers of this blog will be familiar with the standard definition of an early modern sermon, summarised concisely by Peter McCullough as ‘a discourse upon a text from the Bible delivered to a congregation or auditory by an authorized minister’. They will be aware that the typical structure of a sermon dating from this era was tripartite, comprising an explication of the chosen verse, an application to the audience’s lives, and a final exhortation to act upon the lessons learnt in the space of that sermon’s delivery. 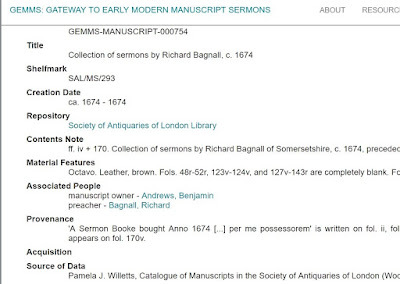 Holding data from almost 1,000 manuscripts to date, GEMMS contains tens of thousands of sermons in various different forms (see ‘GEMMS’s Sermon Taxonomy’) which can be categorised according to McCullough’s definition. But how about the sermons in the database which do not conform to this description? The diversity of approaches by which Protestant ministers selected and dissected their texts has been a prominent concern of the existing literature. However, little consideration has been given to sermons that were not especially based upon any text but which were more discursive or devotional in nature. Moreover, English sermons written by men and women who were not ordained and could claim no professional connection with the Church have attracted almost no attention whatsoever. While the notes of lay auditors in congregations have been carefully researched by historians such as Ian Green, John Craig and John Spurr, sermons written by laypeople, and not only by the ‘tub-preachers’ satirised by the likes of John Taylor the Water-Poet in Revolutionary England, remain an untapped source. The Master Tom Stokes of George Eliot’s short story had more serious predecessors; that is to say, the sermon genre was not restricted to the clergy and the upstart ‘holders-forth’. This blog post investigates these particular works which were likely never preached, but which exist in manuscript. Sermons which are not structured around scriptural texts are also discussed. In doing so, it seeks to shed further light on the extensive influence of the sermon on the writing cultures of early modern England. It also calls into question the rather singular interpretation of an ‘early modern sermon’ prevalent in much recent scholarship, and invites prospective contributors to GEMMS to consider if they have encountered similarly unusual examples. If a ‘sermon’ is not based on a text, and if it was never spoken, can it still be classified as a sermon? It would, of course, be easy to dismiss all these works in question as examples of religious writings which are decidedly not sermons. Indeed, it is sometimes the case that these texts are primarily identifiable as sermons because they possess a single endorsement, often written in a nineteenth-century hand, and have remained labelled thus in the archive catalogues ever since. An example is St. Paul’s Cathedral Library, MS 38.F.48.01 (GEMMS-MANUSCRIPT-000913), in which the word ‘Sermons’ has been pencilled on the verso of the third flyleaf. ‘MSS. SERM’ has also been stamped on a leather label which has been pasted onto the spine of this volume. The manuscript contains two anonymous works possibly dating from the early seventeenth century which could be considered more as treatises than sermons, although it is possible that they may have had origins in oral discourse. The first, entitled ‘A Brief, But A true and Perfect Discouery of the Sinfull Estate, and Miserable Condition of Man’ (GEMMS-SERMON-013356) is a meditation on Original Sin. Although there is a citation of Psalms 39:1 at the beginning of the work (‘I will take heed Vnto my Wayes, that I Sin not with my Tongue’), the author does not stay with this text throughout. 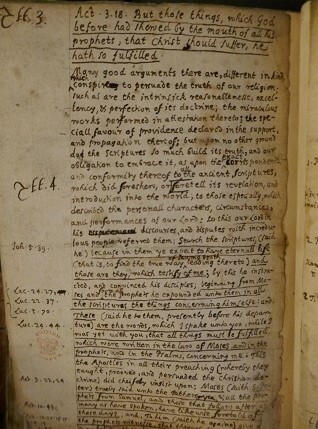 The second treatise in the manuscript, ‘A true Discouery of the Vanity of the Creature, Collected Out of the Sacred Scriptures, As also, Out of the Laborious Works of Ancient, and Modern Diuines’ (GEMMS-SERMON-013357), displays some of the rhetorical features of transcribed sermons (‘Let vs apply the Authority of the Word to Our Own Particular Sicknesse and disease’ (f. 18v)) but is not based on a single biblical verse. The conclusions which could be drawn so far is that these works have been mistakenly catalogued as sermons; the above instance presents a somewhat ambiguous case which has been included in the database in order that users can draw their own conclusions. 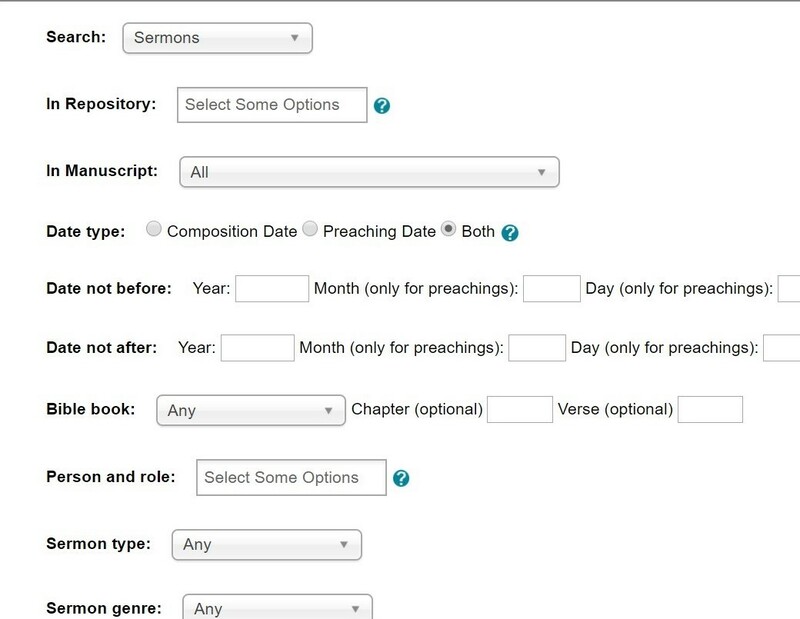 But the idea that lay writers could, in some cases, adopt a more flexible approach to the sermon genre can be entertained further if one contemplates a number of examples which are specifically classified as sermons by their authors or contemporary scribes. The rest of this blog post is dedicated to showcasing these atypical ‘sermons’. The career of Clement Armstrong (c. 1477–1536), radical reformer, amateur preacher, grocer and decorator, has been subject to some scrutiny. Armstrong wrote several substantial treatises on economics and the defence of the establishment of the Church of England. Ethan H. Shagan has gone so far to state that the latter series of tracts, written no later than 1533, may be the ‘most comprehensive and radical justifications for the royal supremacy over the Church ever written in England’. There is no evidence that his ‘Sermons & declarac[i]ons agaynst Popishe ceremonyes’ were delivered orally (The National Archives, E 36/197; GEMMS-MANUSCRIPT-000980). Armstrong’s approach to the sermon is loose and varied; while one sermon is quite closely anchored to Psalms 7:15, others in the volume are more like political tracts. In the case of the first sermon in the volume (pp. 3–55), it is not clear which verse within Jeremiah 30 is the central focus. Figure 1: Beginning of Thomas Bromley's 'A Sermon from Mount Olivet'. © The British Library. Sloane MS 2569, f. 78r. In some manuscript sermons, no biblical text at all can be discerned. 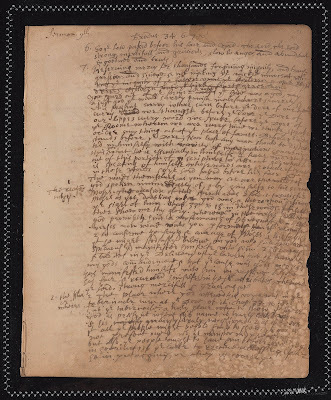 British Library, Sloane MS 2569 (GEMMS-MANUSCRIPT-001037) contains an undated ‘Sermon from Mount Olivet’ delivered by Thomas Bromley (c. 1630–1691), a mystical writer (GEMMS-SERMON-015628). ‘A Sermon from Mount Olivet’, written in an unskilled round hand, opens with a rhetorical flourish: ‘Let me speak of The Beloved Jesus of Nazareth, who, This morning hath opened Hims. in Life & Pow’r; He is The Great High Priest, The Blessed Sheapherd of ye Sheep; Who fro[m] ye Heart of God Breatheth forth His Sweet Oyntm[en]ts all Over Paradice, & thro all Worlds, Down to ye Poor & Needy […]’ (f. 78r). Bromley was never ordained, nor did he seem to have a flock of his own at any point in his career. On the title page of The Way to the Sabbath of Rest (London: John Streater for Giles Calvert, 1655), a mystical treatise and the only work which he published (anonymously), he is simply identified as a ‘member’, as opposed to ‘minister’, ‘of the true Church’. He was a devout follower of the Behmenist John Pordage (c. 1607–1681), having declined to take up a Fellowship at All Souls College, Oxford in order to join his community in 1654. Pordage’s congregation or ‘Family’ was described by Richard Baxter as ‘pretend[ing] to hold visible and sensible Communion with Angels, whom they sometime see, and sometime smell’. Figure 2: Conclusion of Thomas Bromley's 'A Sermon from Mount Olivet'. © The British Library. Sloane MS 2569, f. 79r. Perhaps the most interesting manuscript, however, is an unassuming duodecimo volume formerly housed at Heythrop College, University of London Library. Heythrop College, BT 3055 (GEMMS-MANUSCRIPT-000813) contains sixteen devotional sermons about the Passion of Christ, composed c. 1700. Based on the names inscribed within the volume, it is conjectured by Heythrop College that the work was written by a female ancestor of Cardinal Herbert Vaughan (1832–1903). Notably, the manuscript went through several owners and was presented as a gift by one person with the following words written in pencil on the front flyleaf: ‘This will give you an inspiration for preaching’. Although these texts self-identify as sermons, they deviate the most from the conventional characterisation of an early modern sermon. Instead of choosing the appropriate passages from the Bible and working through the Passion story progressively, as is the case with two sermons contained within St. Paul’s Cathedral Library, MS 38.G.16.01 (GEMMS-MANUSCRIPT-000938), each of these sermons begin by describing an episode of the Passion, narrated by ‘Christ’ in the first person. All of these sermons end with a section entitled ‘The fruit [of the sermon]’ which is the instructional part of the entry, often replete with admonitions and appeals to the reader, who is most often addressed as ‘the saruant’. The three manuscripts above demonstrate some of the different ways in which the ‘sermon’ as a genre was interpreted; namely, as polemical treatise and as devotional literature. But there is one final, related observation to be made about unusual sermons not centred on biblical texts. There are a number of extant sermons purported to have been delivered under extraordinary circumstances. British Library, Cotton MS Vespasian A XXV (GEMMS-MANUSCRIPT-1073) contains a short report of a sermon, apparently dating from the second half of the sixteenth century, by one ‘P[ar]son Hyberdyne’, which was ‘made att the com[m]andemente of certen theves aft[er] thay had robbed hym’ (GEMMS-REPORT-000085) . The account transcribes Hyberdyne’s short oration in full, reporting that, once the sermon was finished, the satisfied thieves ‘gaue hy[m] his money agayne, that thay took from hym’ (f. 43v). Another report of a sermon preached to thieves considerate enough to return the money exists in a printed octavo volume dating from c. 1650, Forced Divinity, Or Two Sermons Preached by the Compulsion of Two sorts of Sinners. It is possible that these sermons are apocryphal and perhaps fall under the category of early modern ‘fake news’, a topic which has attracted great interest in the scholarly community within the past few years. While mock-sermons are beyond the scope of GEMMS, it is not entirely clear as to whether these intriguing sermon reports are real, satirical, or merely old wives’ tales. The inclusion of GEMMS-REPORT-000085 represents a springboard from which users can conduct further research into these texts. When is a sermon not a sermon in early modern England? Should it be the case that an oration such as Bromley’s, which does not expound upon a verse, should automatically be excluded? If a writer named his or her work ‘Sermon’, and if this work lacks many of the attributes of a typical early modern sermon, should such a text also be disregarded (Heythrop College, BT 3055)? Why should a sermon which existed only on the page, and never as a speech, not be considered as a sermon (British Library, Egerton MS 1043)? And what about potentially apocryphal ‘sermons’, which circulated widely in manuscript as well as print? In response to these questions, we argue that they should not be excluded. In particular, we contend that we should follow the writer or contemporary scribe in classifying their works as sermons. 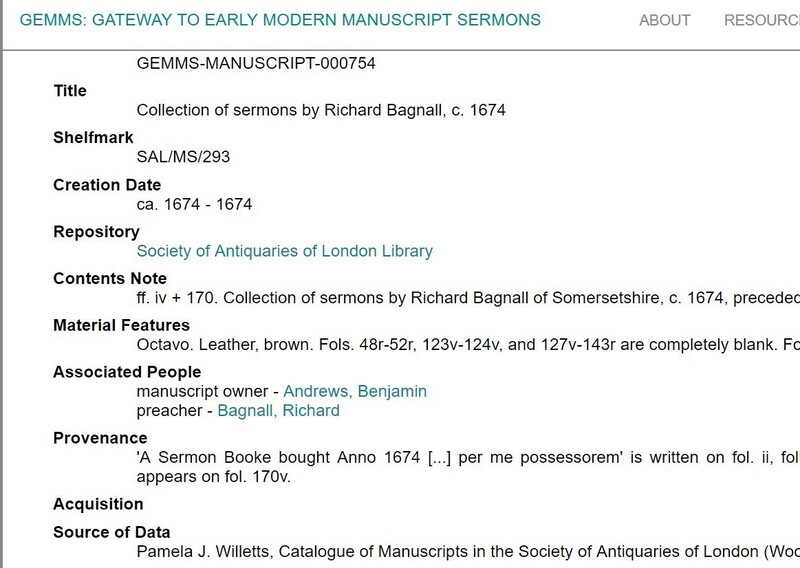 In GEMMS, we have therefore included all of the above into our remit, allowing for a very broad definition of a sermon in order that GEMMS users and contributors can be encouraged to reflect upon the manner in which such manuscripts defy certain commonplace definitions. We have also found it pertinent to include treatises which potentially originated as sermons and which retain some of their rhetorical features, such as St. Paul’s Cathedral Library, MS 38.F.48.01, in line with Arnold Hunt’s remark regarding printed sermon-treatises: that ‘on closer examination the two categories start to blend into one another’. Most importantly, this blog post has argued that the consideration of laypeople’s interpretations of sermons is essential to furthering our understanding of the place of sermons in early modern literature and society. In addition, these manuscripts are vital for recovering the aspects of sermons which laypeople valued. The manuscripts examined above highlight the fluidity of the sermon genre as a textual form, an aspect of manuscript sermon culture which has hitherto been little acknowledged. While it is well known that the sermon as delivered ‘transcended the boundaries of class, geography, gender, and doctrinal difference’, it is also to be observed that sermon composition was not exclusive to the clergy. By recognising the flexibility of the genre, GEMMS, therefore, is aimed not only towards scholars who are specifically interested in Protestant preaching, but also researchers who are interested in manuscript culture and prose writing of the period more generally. George Eliot, ‘Mr Gilfil’s Love-Story’, in Scenes of Clerical Life and Silas Marner (Edinburgh and London: William Blackwood, 1863), pp. 71–182 (p. 78). Peter McCullough, ‘Sermons’, in The Oxford Handbook of English Prose 1500–1640, ed. by Andrew Hadfield (Oxford: Oxford University Press, 2013), pp. 560–75 (p. 566). See also Mary Morrissey, ‘Sermons, Primers, and Prayerbooks’, in The Oxford History of Popular Print Culture, Volume I: Cheap Print in Britain and Ireland to 1660, ed. by Joad Raymond (Oxford: Oxford University Press, 2011), pp. 491–509 (p. 507). A highly significant exception is Suzanne Trill’s work on British Library, Egerton MS 1043. See Suzanne Trill, ‘The First Sermon in English by a Woman Writer?’, Notes and Queries, 47.4 (2000), pp. 470–73; Suzanne Trill, ‘A Feminist Critic in the Archives: reading Anna Walker’s A Sweete Savor for Woman (c. 1606)’, Women’s Writing, 9.2 (2002), pp. 199–214. Ian Green, Continuity and Change in Protestant Preaching in Early Modern England (London: Dr Williams’s Library, 2009), especially pp. 19–26; John Craig, ‘Sermon Reception’, in The Oxford Handbook of the Early Modern Sermon, ed. by Peter McCullough, Hugh Adlington and Emma Rhatigan (Oxford: Oxford University Press, 2011), pp. 178–97; John Spurr, The Laity and Preaching in Post-Reformation England (London: Dr Williams’s Trust, 2013). For John Taylor and the tub-preachers, see Bernard Capp, The World of John Taylor the Water-Poet 1578–1653 (Oxford: Clarendon Press, 1994), pp. 144–46. Famous examples of eighteenth-century authors who employed the sermon genre include Horace Walpole and Samuel Johnson. See Horace Walpole, ‘A Sermon on Painting’, in Horace Walpole, Ædes Walpolianæ (London: [n. p.], 1747), pp. 87–99; Howard Weinbrot, ‘Samuel Johnson’s Practical Sermon on Marriage in Context: Spousal Whiggery and the Book of Common Prayer’, Modern Philology, 114.2 (2016), pp. 310–36. S. T. Bindoff, ‘Clement Armstrong and His Treatises of the Commonweal’, The Economic History Review, 14.1 (1944), pp. 64–73; Ethan H. Shagan, ‘Clement Armstrong and the Godly Commonwealth: Radical Religion in Early Tudor England’, in The Beginnings of English Protestantism, ed. by Peter Marshall and Alec Ryrie (Cambridge: Cambridge University Press, 2002), pp. 60–83; A. L. Beier, Social Thought in England, 1480–1730: From Body Social to Worldly Wealth (Abingdon and New York, NY: Routledge, 2016), ch. 5. Shagan, p. 73 n. 63. Ariel Hessayon, ‘Bromley, Thomas (bap. 1630, d. 1691)’, Oxford Dictionary of National Biography, Oxford: Oxford University Press, 2004, online edn, <https://doi.org/10.1093/ref:odnb/40437> [accessed 17 February 2019]; Reliquiæ Baxterianæ, ed. by Matthew Sylvester (London: T. Parkhurst, J. Robinson, J. Lawrence, and J. Dunton, 1696), Part I, p. 77. The collections at Heythrop College have recently been redistributed. See <http://heythrop.ac.uk/news/heythrop-library-relocating-senate-house> [accessed 15 February 2019]. Another manuscript witness is British Library, Lansdowne MS 98/25. British Library, General Reference Collection 12330.b.21. See, for example, <https://www.ucl.ac.uk/early-modern/events/2017/dec/fake-news> [accessed 15 February 2019] and <https://torch.ox.ac.uk/beyond-truth-fiction-and-disinformation-early-modern-world-0> [accessed 15 February 2019]. Arnold Hunt, The Art of Hearing: English Preachers and Their Audiences, 1590–1640 (Cambridge: Cambridge University Press, 2010), p. 161. Jeanne Shami, ‘The Sermon’, in The Oxford Handbook of Early Modern English Literature and Religion, ed. by Andrew Hiscock and Helen Wilcox (Oxford: Oxford University Press, 2017), pp. 185–206 (p. 185). While the majority of sermon manuscripts remain accessible only within the confines of specific archives and libraries, these sources have not been untouched by the process of digitization undertaken by many repositories. As a result, some collections are now easily accessible online. One such collection is the Sermons and Writings of John Davenport from the Beinecke Library at Yale. The entire manuscript collection (GEN MSS 202) spans most Davenport’s career from 1615 to 1658, but the digitized selection (GEMMS Manuscripts 000777 and 000788) focuses on his early career as a chaplain at Hilton Castle, County Durham, in 1615. 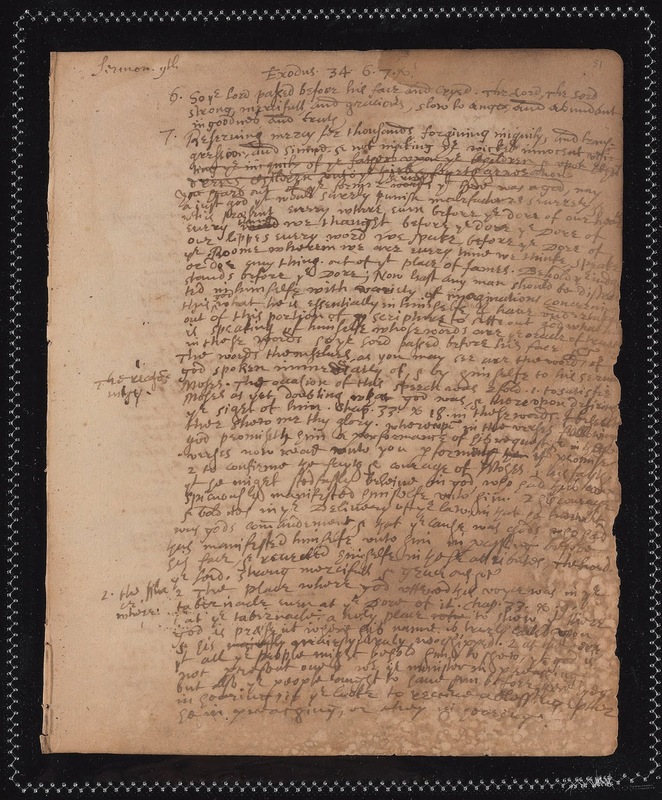 Davenport’s series of more than 40 sermons in these digitized manuscripts offer a glimpse into the formation and early career of a famous puritan preacher and religious practice on a noble estate in Durham. Davenport’s career has been the subject of some scholarship on account of his prominence among “godly,” or puritan, ministers in the 1620s, and his role in the founding and governing of the colony of New Haven in 1638. He became curate of St Lawrence Jewry in London in 1619, where he earned a reputation as an inspiring preacher. This led to his election as vicar of St Stephen, Coleman Street in 1624. It was at St Stephen that Davenport took part in a corporation of four ministers, four lawyers, and four merchants known as the “feoffees for the purchase of impropriations.” The basic scheme of the feoffees was to acquire ecclesiastical property and revenue that had come into lay hands following the Reformation (called impropriations), and use those funds to purchase lectureships and install them with preachers of puritan sympathies. Archbishop William Laud’s efforts to stamp out puritanism within the Church of England eventually led to the corporation’s disbandment and ultimately to Davenport’s decision to opt for nonconformity, leading him first to the Netherlands in 1633, and then to America in 1637 to found a new colony for the godly in New Haven. In keeping with Davenport’s ideals and in order to maintain the colony’s godliness, all the colony’s government offices could only be held by those who had been baptized in the local congregational church. Davenport staunchly defended this restrictive policy into the 1660s when New Haven sought to merge with the larger and less-religiously stringent colony of Connecticut. 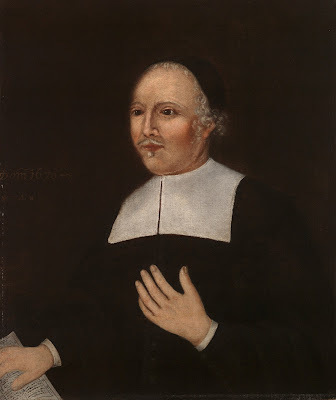 Figure 1: Reverend John Davenport by Davenport Limner (1670). Photo credit: Yale University Art Gallery. It is this latter part of Davenport’s career which has garnered the most scholarly attention. Interestingly, it is from the early part of his career, about which little is known, that the digitized sermons in Beinecke’s collection come. Davenport matriculated from Merton College, Oxford in 1613 and began his Bachelors at Magdalen Hall. He left university two years later due to lack of means. Although he was only eighteen years old and thus not old enough to be ordained, he sought a preaching position. Sometime in 1615, he was invited to serve as chaplain at Castle Hilton, Durham. It remains unclear how Davenport came to be chaplain at Hilton. Isabel Calder, editor of a published volume of Davenport’s correspondence, suggested that he was likely invited by Lady Mary Hilton, who managed the estate, given that her husband, Baron Henry Hilton, was absent from his estate for most of his life. Lady Mary was likely a member of Davenport’s sermon audiences at Hilton Castle, but his more recent biographer, Francis Bremer, has suggested another candidate for his sponsor: Lady Isabelle Bowes, a prominent patron of puritan ministers. The Bowes and Hilton families were connected by marriage, so Lady Isabelle would have been aware of the need for a chaplain at Hilton Castle, and she knew the Davenport family from her time living in Coventry, where Davenport grew up. Catholicism remained strong in Durham, so she would have been keen to see a puritan preacher installed in a chaplaincy belonging to her kin. Regardless of who invited him, Davenport’s early career seems likely to have benefited from the patronage of noblewomen, who, as Jeanne Shami and other scholars have pointed out, were not simply passive auditors of sermons, but often instrumental as patrons of preachers. It was thus at Hilton Castle that Davenport’s preaching career began. An examination of the sermons he preached there can reveal a great deal about the formation of this young puritan preacher, his expectations for lay piety, and the religious atmosphere of County Durham in the early seventeenth century. 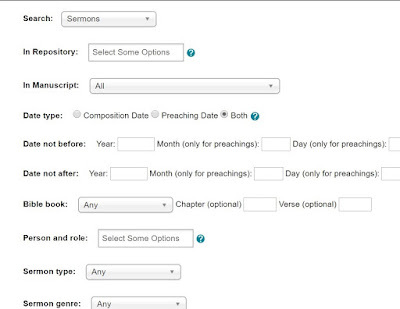 The digitized sermons span 172 pages and most of them are listed as part of a single series with each sermon numbered up to 35 (although additional unnumbered sermons also appear to be part of the series). The dates of these sermons are not given, but the Beinecke cataloguer notes that they were preached between November 1615 and March 1616. Unfortunately, some pages have been so badly damaged that the script is illegible. Nonetheless, enough of the sermons survive to get a sense of their content, structure, and overall approach. One example is sermon 9 of the series (GEMMS Sermon 011533), the first of 13 sermons on Exodus 34:6-7. Figure 2: Sermon 9 in John Davenport Sermon and Writings, MS GEN 202, Beinecke Rare Book and Manuscript Library, fol. 51r. Photo credit: Beinecke Rare Book and Manuscript Library, Yale University. The sermon begins with a summary of the previous one in the series on James 5:9 (“Grudge not one against another, brethren, lest ye be condemned: behold, the judge standeth before the door”). Davenport notes how God righteously punishes malefactors before various “doors” of the heart, lips, and every thought. He implores his listeners to think therefore not just of their sinful actions, but also their sinful feelings and thoughts, since on Judgement Day, they will be as open to God as an unlocked door. He then connects that sermon with the current one. He worries that the content of previous sermon might lead the listener to a “variety of imaginations concerning this god, so that he is essentially in himselfe.” In other words, an excess of introspection and fear of God’s punishment can cause one to misunderstand the nature of God. As a corrective, he offers an “understanding” of God’s nature out of scripture, namely out of Exodus 34:6 (“And the Lord passed by before him, and proclaimed, The Lord, The Lord God, merciful and gracious, long-suffering, and abundant in goodness and truth.”) in which God briefly passes before Moses out of a cloud. From this passage, Davenport essentially argues that as imperfect beings, humans can only ever have a partial understanding of a perfect god. That being said, God’s decision to appear before Moses, a mortal man, suggests his desire to be known by us. He further extrapolates that “this knowledge of god is as well necessary to the people as the preacher, to the masses as the minister” and rebukes those who seek to deprive laypeople of the ability to read scripture for themselves. What can scholars glean from this sermon? One thing that is notable is that already at this early stage in Davenport’s career, his puritan sympathies – probably cultivated at the puritan-leaning Magdalen Hall – are already on full display. This is evident even in the structure of many of his sermons, which follow that outlined by William Perkins’ The Arte of Prophecying (1607), a preaching manual popular amongst the godly. The so-called “doctrine-use” preaching scheme advocated by Perkins instructed the preacher to read, then carefully interpret a passage of scripture, teasing out its meanings before explaining “in a simple and plaine speech” how the doctrines might be applied to daily life. The structure of this sermon appears to be a textbook example of this type of sermon, opening with a reading of the text, proceeding to an explanation of its scriptural context and the meaning of specific words (fols. 51r-52v), before moving on to an exposition (fols. 52v-53r, marked by “exposito” in the margins) of its doctrinal implications, and concluding with some remarks on practical application (fols. 54r-54v). While not every sermon in the collection follows this pattern (the sermon on James 5:9, for example, does not), it seems likely that Davenport was influenced by that approach. Moreover, Davenport’s puritanism may have been reinforced by his status as a Protestant preacher in a region of England that was still predominantly Catholic. One scholar has estimated that as little as 5 percent of County Durham’s population had embraced the reformed Church of England by the early seventeenth century. This context likely added a sense of urgency to Davenport’s apparent preoccupation with refuting Catholic doctrines in his sermons. In sermon 9, for instance, he argues that God’s revelation of himself in Exodus 34:6 serves to confute the “dangerous positions” of the disciples to have their followers “ledde by the judgement of the church not of the scriptures” and that it is “not lawfull for the lay people to read the Scriptures.” In the following sermon on the same verse (GEMMS Sermon 011534), he concludes that God reveals himself in his word so that his followers would know how to worship him correctly. Davenport specifies that God wishes his followers to worship him alone, and thus “the papists are accused of unfit worshipping” for their veneration of Mary and the saints. It seems likely that this experience preaching in a strongly Catholic region led Davenport to be particularly attuned to thinking of Catholicism as an ever-present threat and solidified his opposition to the Anglo-Catholicism of Archbishop William Laud in the 1630s. In the application portion of sermon 9, we are also offered a glimpse into ideas of appropriate expressions of lay piety. At the outset of the sermon, Davenport cautions his audience against vain introspection and “imaginations” about God. However, as the sermon continues it becomes clear that he by no means advocates passive acceptance of the minister’s authority in religious matters. Instead, he insists that it is God’s will that all people are able to read the scriptures. He thus encourages all Christians, both men and women, not simply to take part in the rituals of the established church, but to actively engage with their faith through scriptural study. Given that Lady Hilton or other women likely would have been auditors of this sermon, sermons like this one serve to highlight the complexity of gender norms in early modern Britain. On the one hand, women were instructed to be silent and submissive, while on the other hand were also encouraged to take an active role in studying the scriptures and promoting their faith. The sentiments of this sermon also presage Davenport’s future support of educational reform and expansion, particularly in New Haven. These are just some of the ways that scholars might approach these sermons. The digitization of these sermons and their bibliographical inclusion in the GEMMS database provides scholars greater access to this little studied sermon collection and thus facilitates new avenues of research into the early thought of a leading puritan preacher and the religious atmosphere of post-Reformation northern England. Francis J. Bremer has written most extensively on Davenport’s career. “Davenport, John (bap. 1597, d. 1670), minister in America,” Oxford Dictionary of National Biography, Oxford: OUP, 2004. http://www.oxforddnb.com/view/10.1093/ref:odnb/9780198614128.001.0001/odnb-9780198614128-e-7201. (Accessed 30 Sep. 2018). A more extensive account is Bremer’s Building a New Jerusalem: John Davenport, a Puritan in Three Worlds (New Haven: Yale University Press, 2012). Isabel M. Calder, “A Seventeenth Century Attempt to Purify the Anglican Church,” American Historical Review 53 (1948), 760-775. Isabel M. Calder, ed., Letters of John Davenport, Puritan Divine (New Haven: Yale University Press, 1937), 1. Bremer, Building a New Jerusalem, 37. Jeanne Shami, “Women and Sermons,” in The Oxford Handbook of the Early Modern Sermon, Hugh Adlington, Peter McCullough, Emma Rhatigan, eds. (Oxford: Oxford University Press, 2011), 160-163. Sarah Bastow notes that Catholic women in northern England also served as patrons for their clergy: “The Catholic Gentlemen of the North: Unreformed in the Age of Reformation?” in Holiness and Masculinity in the Middle Ages, P. H. Cullum, Katherine J. Lewis, eds. (Toronto: University of Toronto Press, 2004), 206-221. John Davenport Sermons and Writings, 1615-1658, GEN MSS 202, General Collection, Beinecke Rare Book and Manuscript Library, Yale University, fol. 51r. GEN MSS 202, fol. 53r. Bremer, Building a New Jerusalem, 33. Gregory Kneidel, “Ars Prædicandi: Theories and Practice,” in The Oxford Handbook of the Early Modern Sermon, 12-14. Bremer, Building a New Jerusalem, 36. This is the estimate of John Guy. GEN MSS 202, fol. 54v. GEN MSS 202, fol. 58v. GEN MSS 202, fols. 53r-54v. Bremer, Building a New Jerusalem, 202.